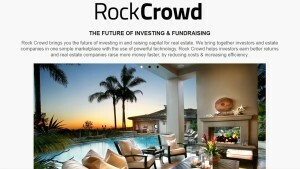 RockCrowd provides accredited investors with unique and interesting real estate investment opportunities. As a RockCrowd member you’ll have the opportunity to browse through a plethora of projects and find the right investment for you. Each project will provide a detailed description as to what the project entails, this way you can be sure you’re investing your time and money into something that suits you individual needs and style. Looking to invest in property, but don’t have the time or the energy necessary to maintain real estate? By investing with RockCrowd you’re not only buying into a nice piece of real estate, you’re securing a future for yourself.. Real estate is an investment for life. By joining RockCrowd you’re simultaneously building a network of like-minded investors for future projects. 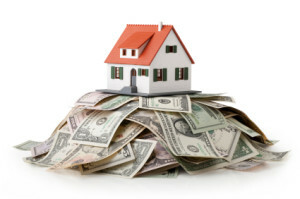 Crowd funding offers individuals the opportunity to own a portion of a property. After the project’s goal is met, the project will begin and investors will see their returns upon completion. It’s that simple! High and reliable returns with low fees, that’s what you’ll get every time with RockCrowd. Rockcrowd seeks out and invests in residential and multi-family real estate properties, identified as fundamentally sound but undervalued due to current local economic and market conditions, thereby presenting attractive short-term growth opportunities. We often focus on well-located properties that exhibit correctable problems related to tenancy, physical condition, capital structure, market position or management. The Partnership would then seek to exploit the operational inefficiencies inherent in assets of this nature, and employ intensive asset management to correct the identified flaws and position the assets to take advantage of a larger, more efficient pool of capital, thus maximizing exit value. Our investments may also include complex transactions that require an experienced team with operational skills, capital markets knowledge transaction structuring, back-office support, and relationships necessary to increase the return upon disposition. © 2015 SYNERGY GROUP LLC.